This popular outdoor market has everything from delicious fresh fruit and vegetables to the latest fashions and vintage and second-hand books. Visit this FARMA accredited award winning market and buy delicious local food from the people who produce it. 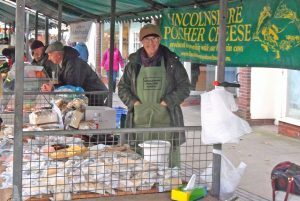 Now with over 30 stalls selling everything from ostrich to smoked salmon and home-made cakes to sauces.